We are a comprehensive arthroscopy, joint preservation and sports medicine facility. We also offer musculo-skeletal imaging, physiotherapy, osteopathy and sports sciences; all seamlessly integrated for patient convenience. Sportsmed provides a full range of orthopedic specialty care and sports medicine for patients. We diagnose and treat conditions and injuries related to Knee, Foot and Ankle, Hip, Upper Limb and Spine. Sportsmed provides Musculoskeletal Radiology and Imaging to patients. We offer interpretation of CT scans, MRI and X-rays reports. We practice interventional radiology and ultrasound guided injections. Sportsmed makes use of Arthroscopy to treat shoulder, elbow, wrist, knee, spine and ankle injuries. We have employed minimally invasive surgical procedure for patients in different age groups. Not from Mumbai? No Problem. I’ve been in touch with Dr. Anant Joshi since long and I can confidently say that he is one of the best Arthroscopy & Sports medicine professional. He is the go-to man for any sport-related injury. Be certain that you will get back to sport very soon, with renewed energy! Never before have I felt this ‘free’. Thank you for the great healing. God bless Dr. Sara, Dr. Joshi and the team. 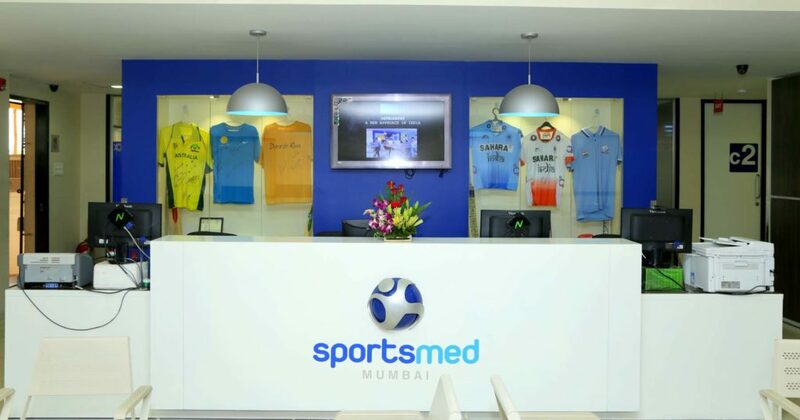 I had great experience at Sportsmed. The treatment was extremely professional and my body is feeling the difference. Thank you very much for helping me. Wish you best luck. I am so glad that we finally have a place that is well equipped with the best doctors; this was much needed in a city like Mumbai. I have been here twice and always had a lovely experience. Good luck to Dr. Joshi; God bless! Thank you, Anant Joshi Sir and Sports MMed. Because of your treatment, support and motivation I got my 1st LIMCA BOOK RECORD. A few months back, it was a difficult time for me. Lack of sports physio knowledge in Mumbai made it worse. I changed 13 physios before meeting Dr. Anant Joshi and his team of physios who trained me. I finally fought my way out with pool therapy and extensive strengthening exercises. Tailor made programs to improve performance of the amateur and professional athlete. Remedial exercises for those who do not need surgery as well as pre and post surgery rehabilitation. Manual therapy at its best to Rx a number of soft tissue ailments.